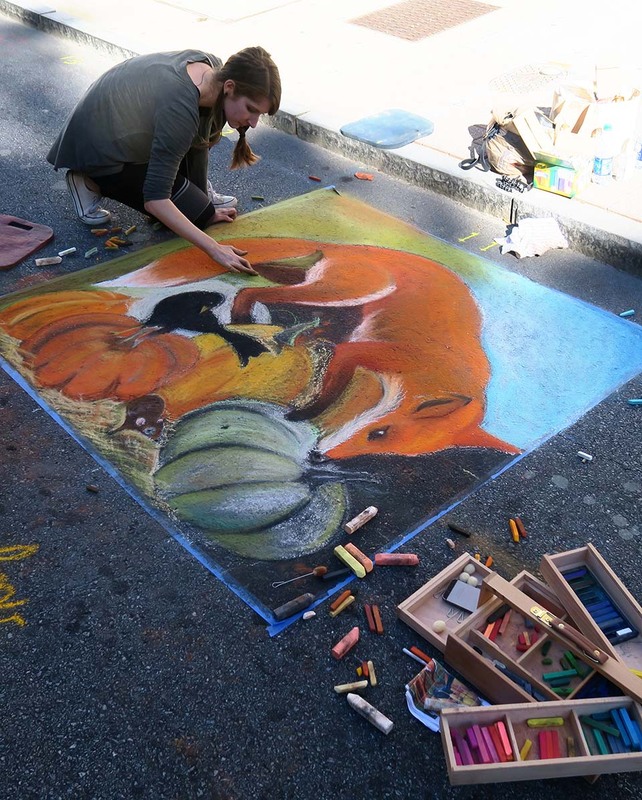 Atlanta Streets Alive is always such a fun event. 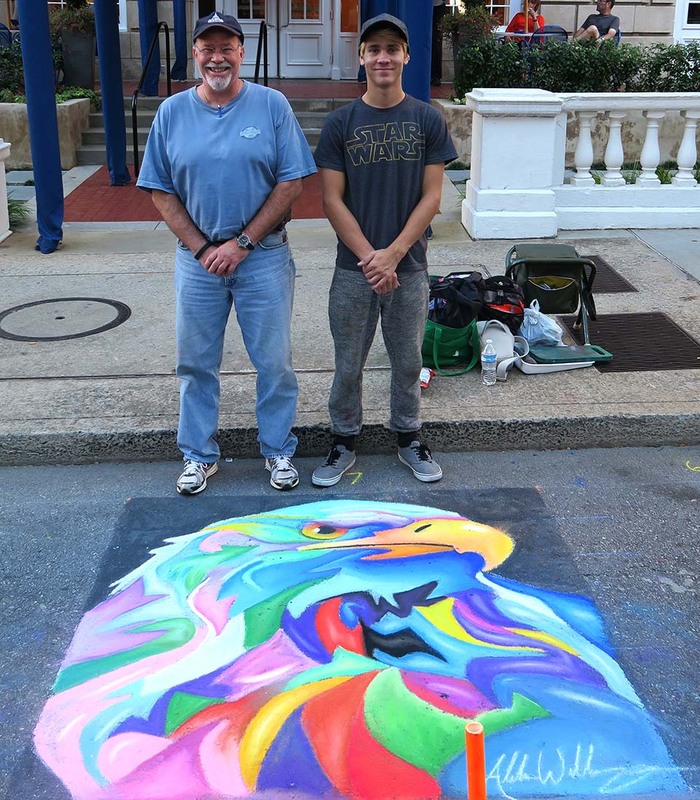 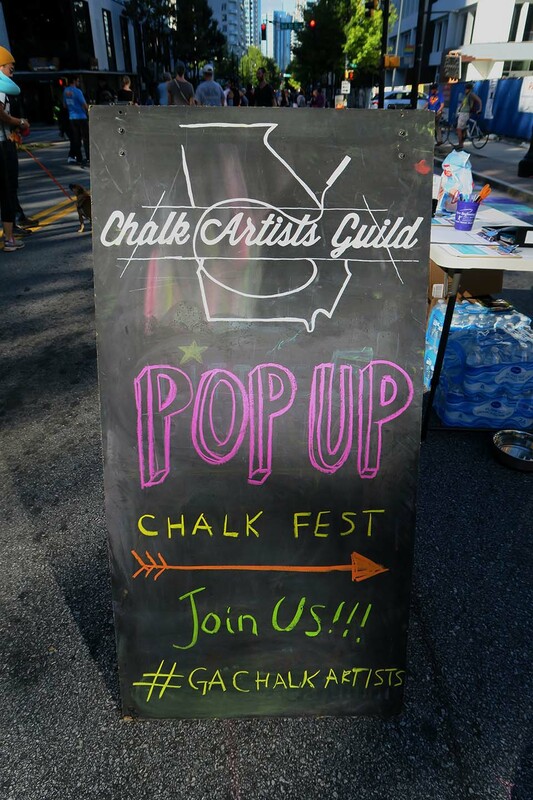 We are proud to be involved as a community partner and host our Pop-Up Chalk Festival. 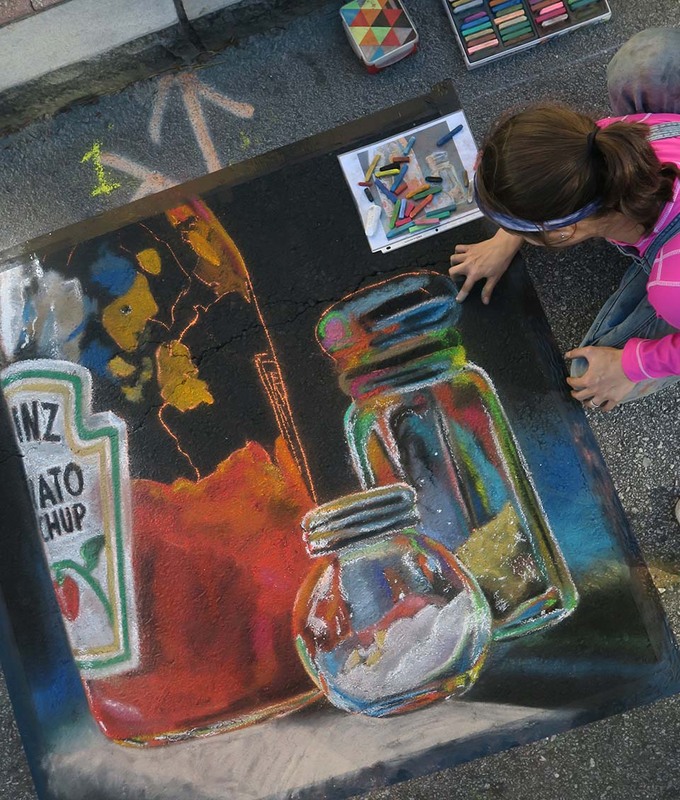 This is a great opportunity to engage the area and introduce our art form to the community. 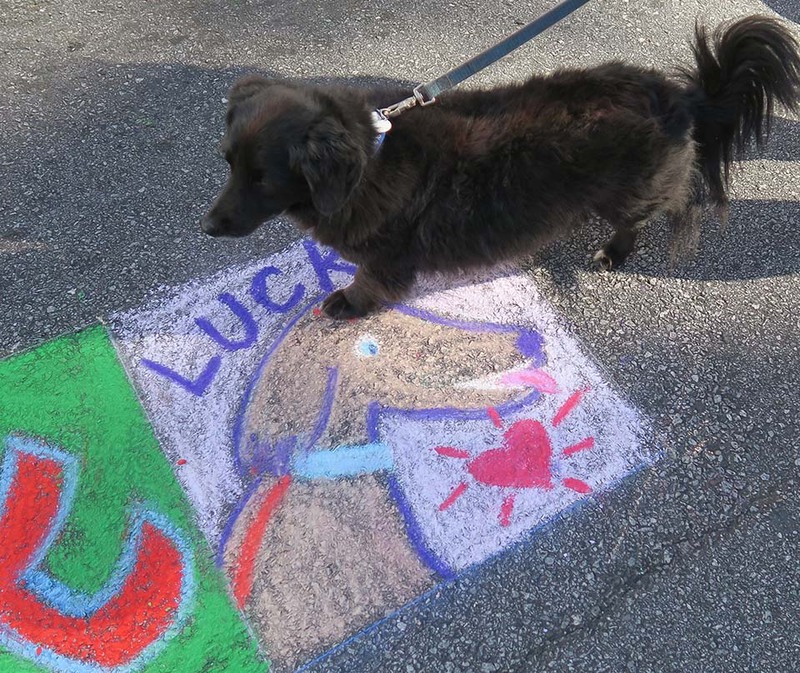 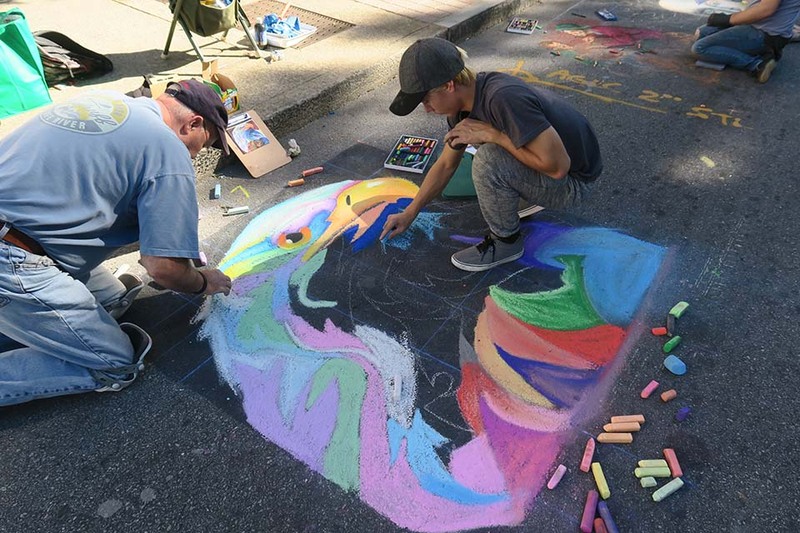 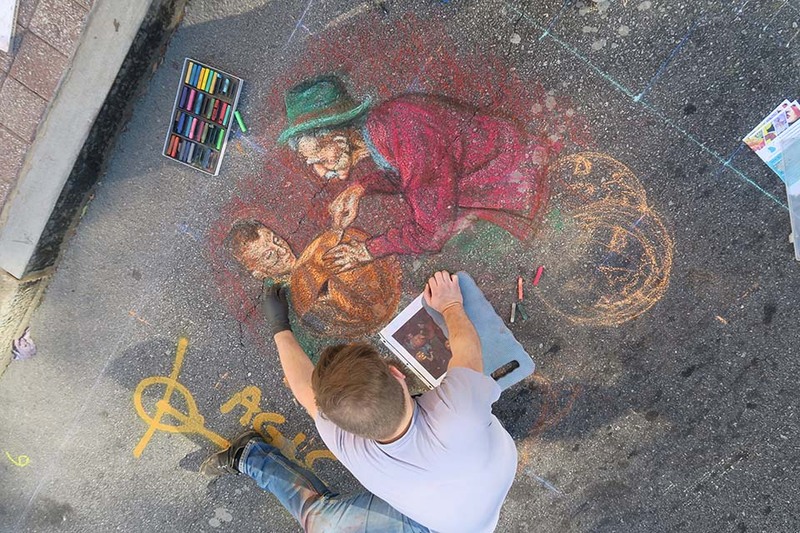 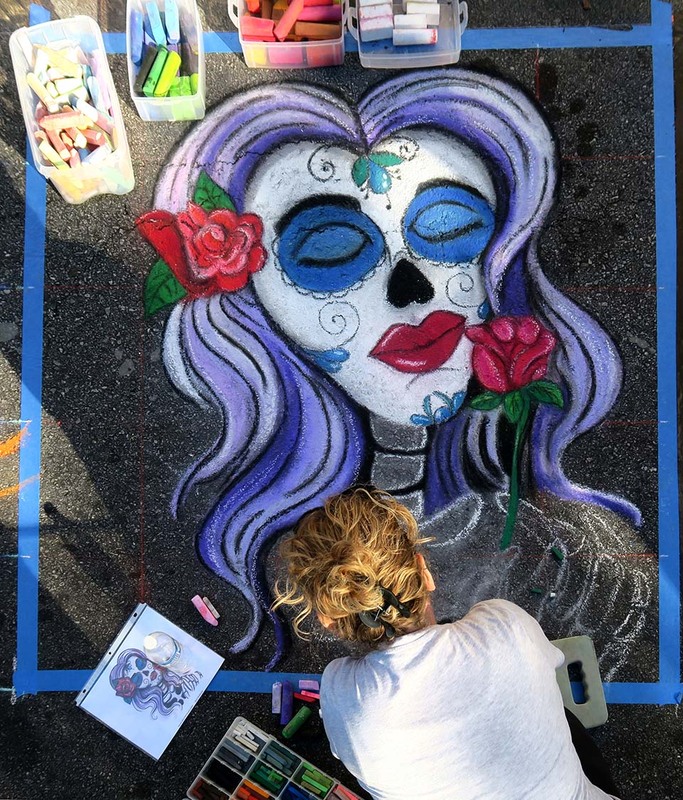 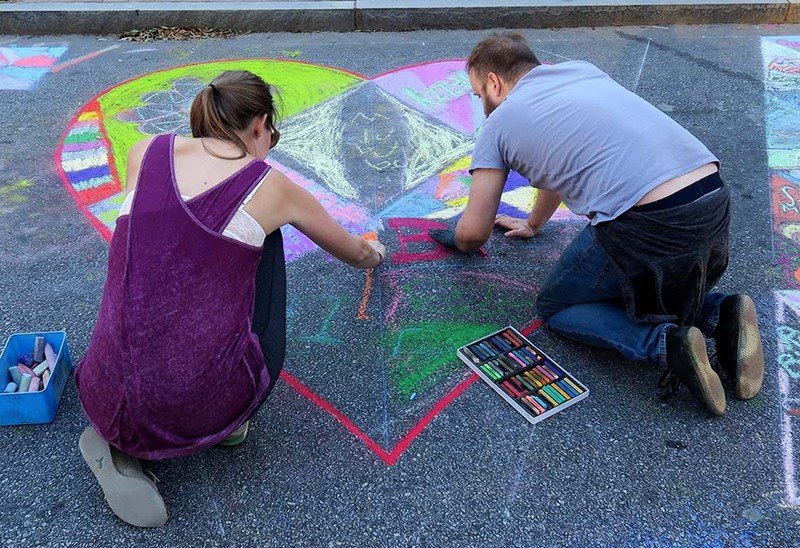 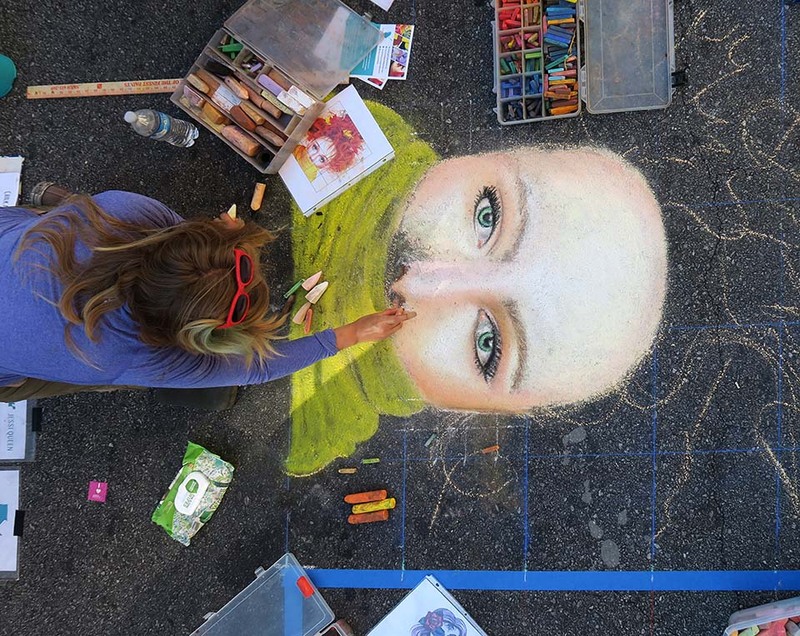 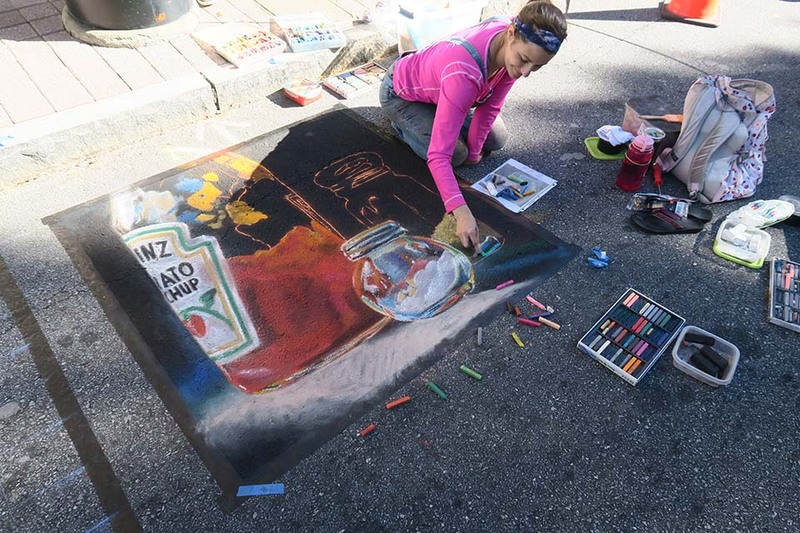 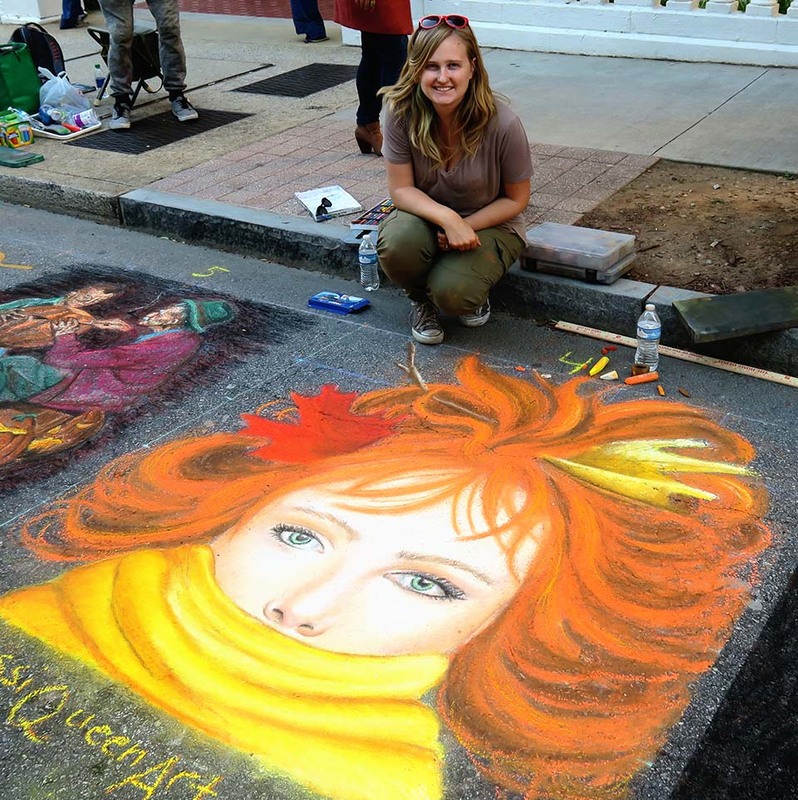 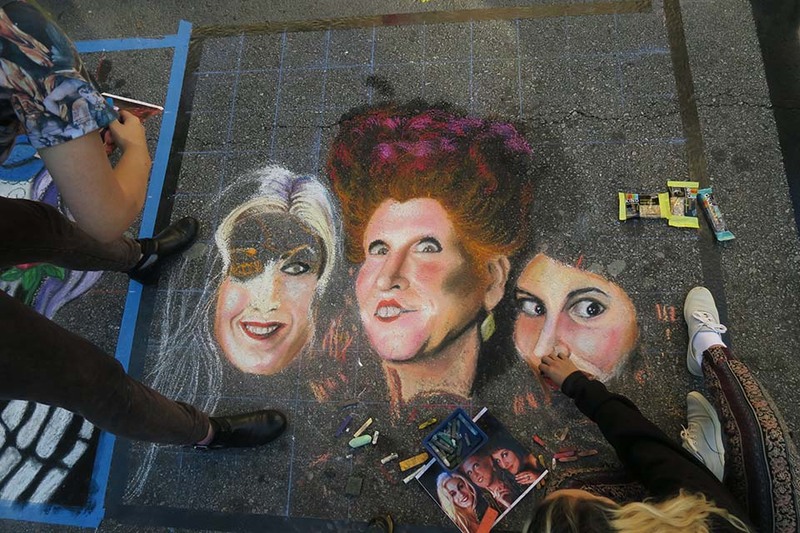 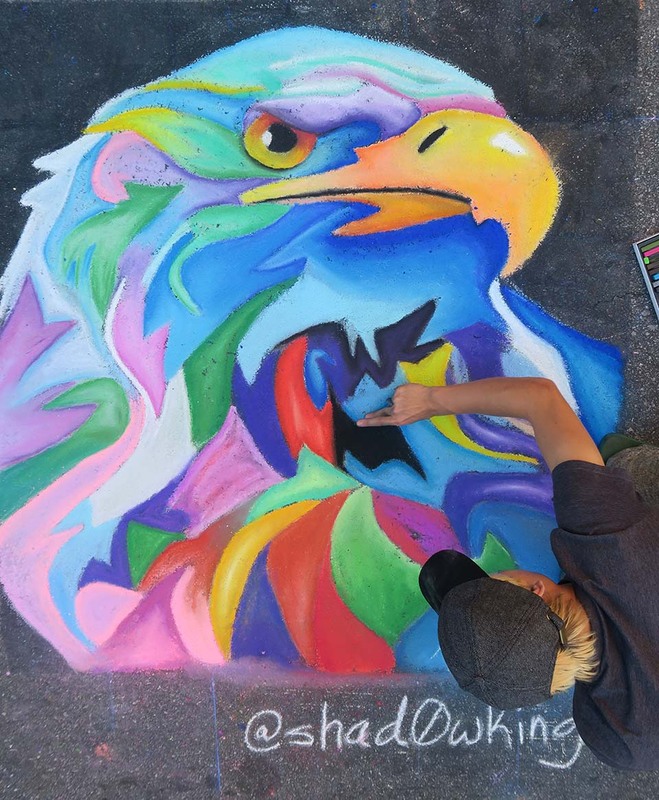 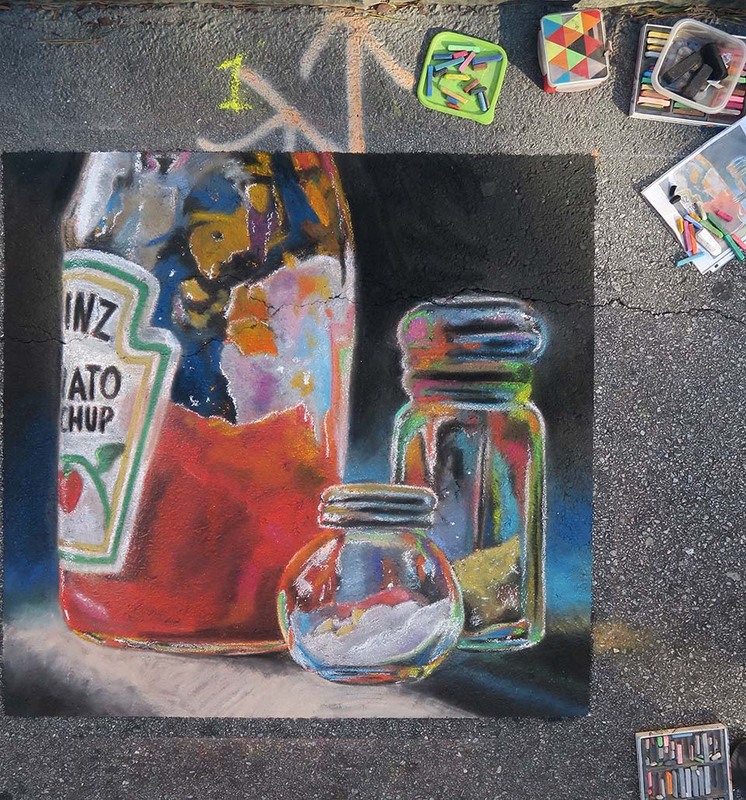 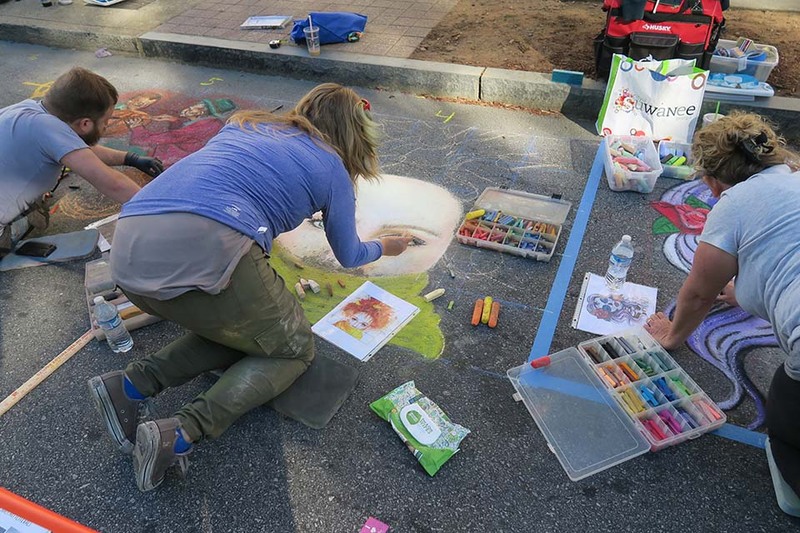 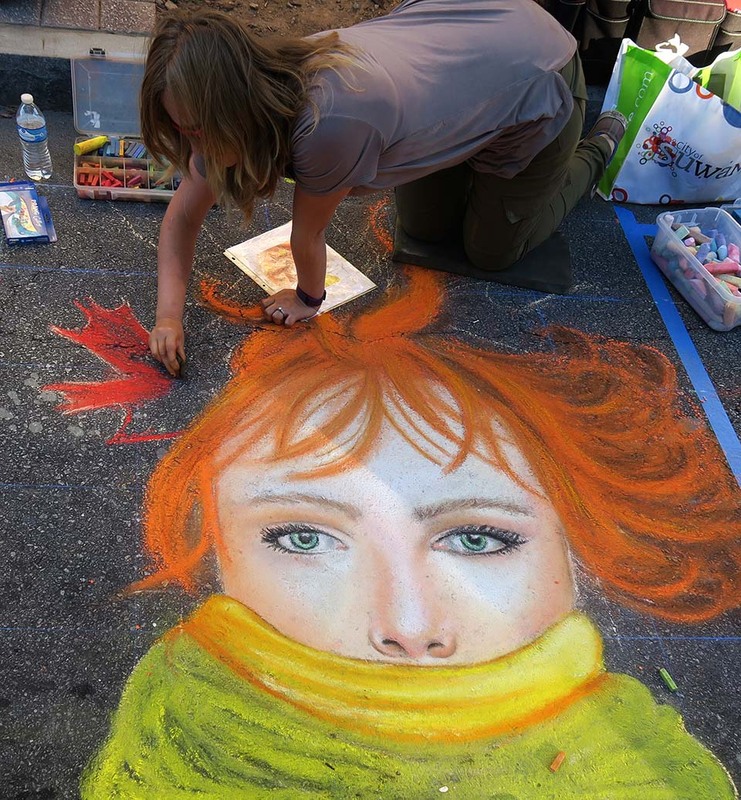 This October a lot of artists joined us on Peachtree Street for our fourth Pop-Up Chalk Festival. 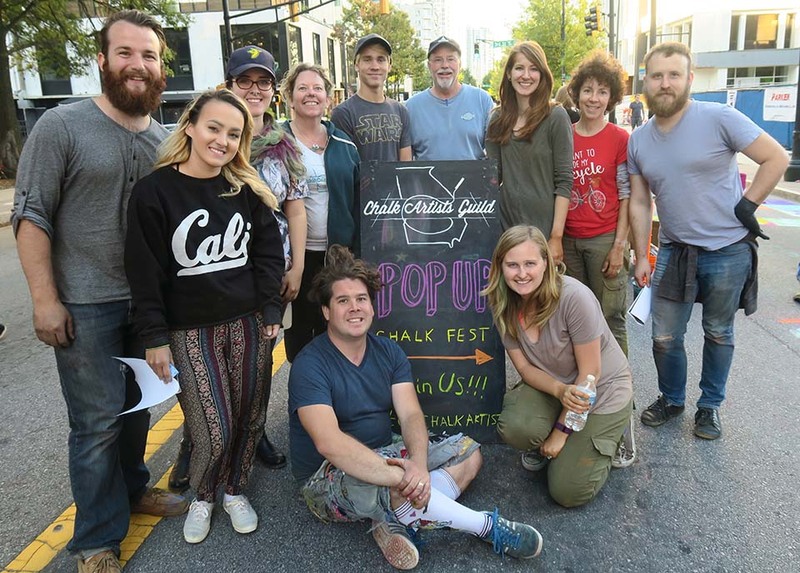 We work for weeks to put together this short event and could not do it without our amazing volunteers. 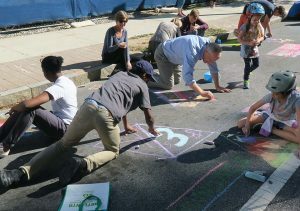 Zach acts as the leader for the community squares. 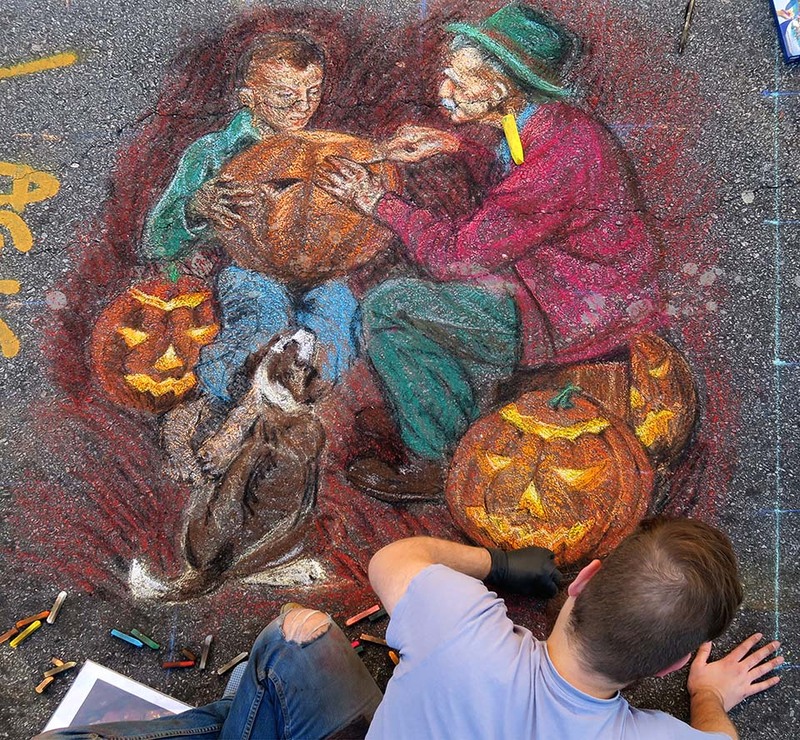 This time we set it up a bit differently. 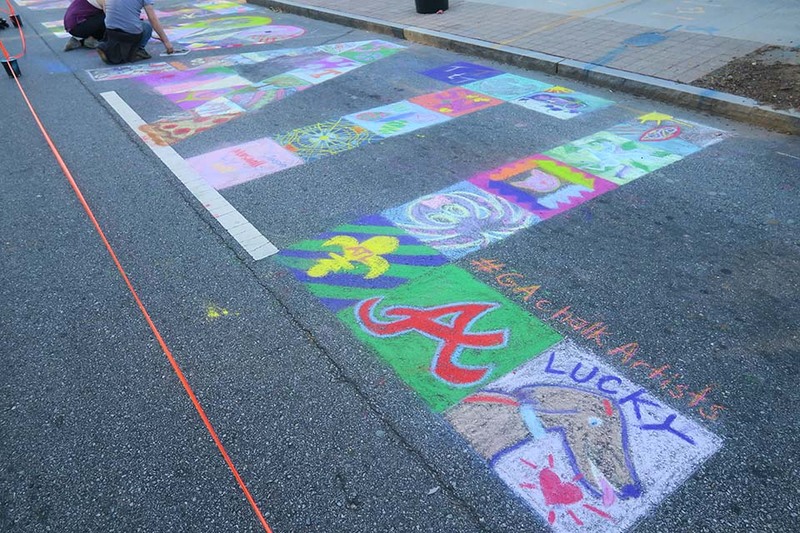 We spelled out “We <3 ATL” and sectioned it off into 2ft squares. 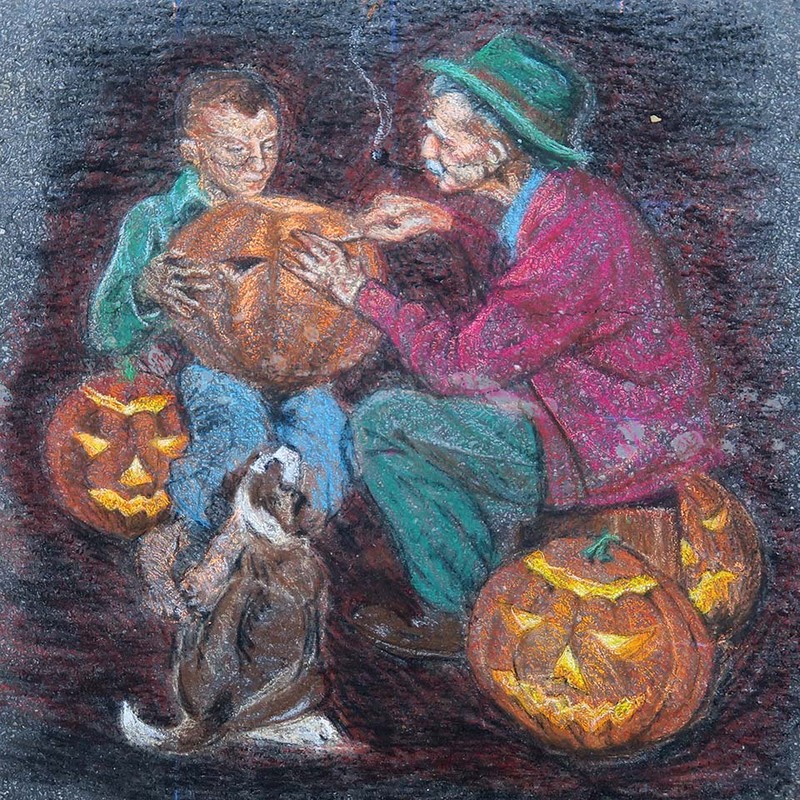 This allowed each patron to color in a section of the larger picture. 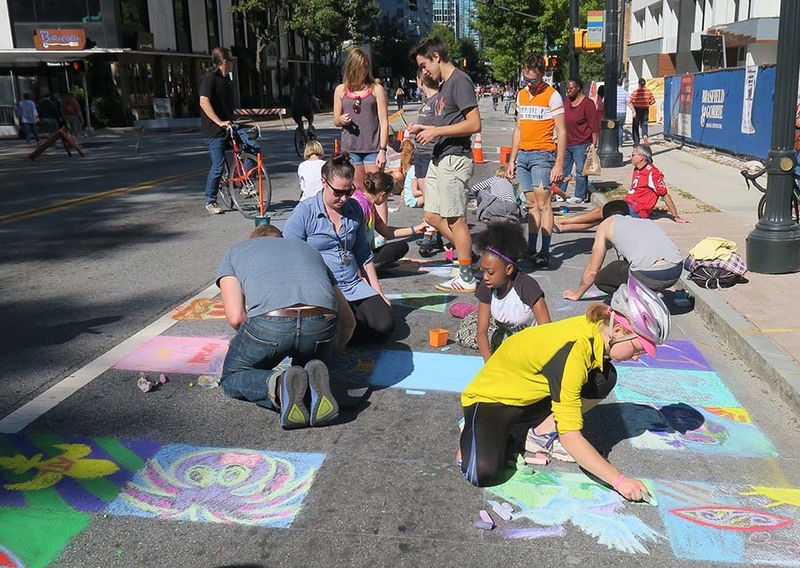 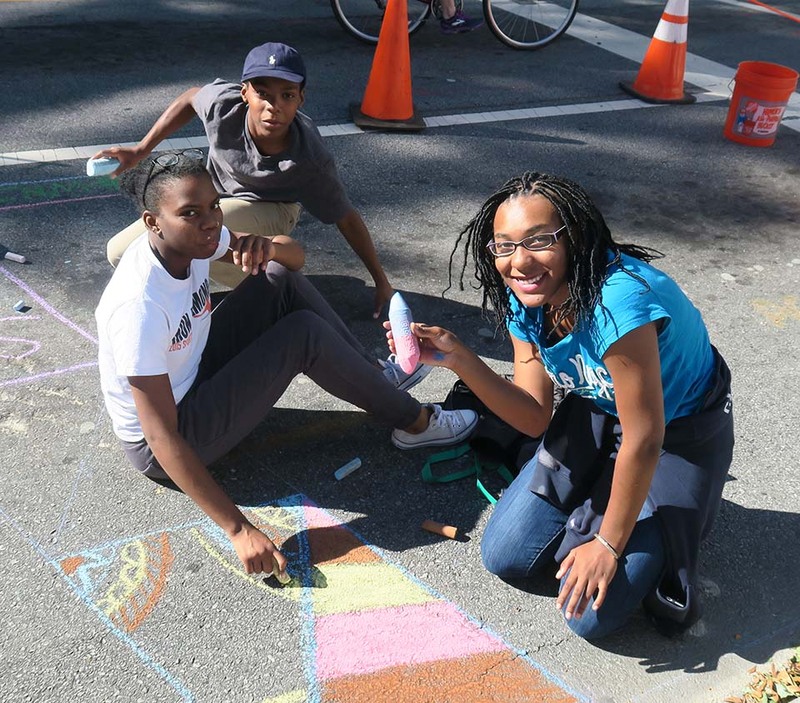 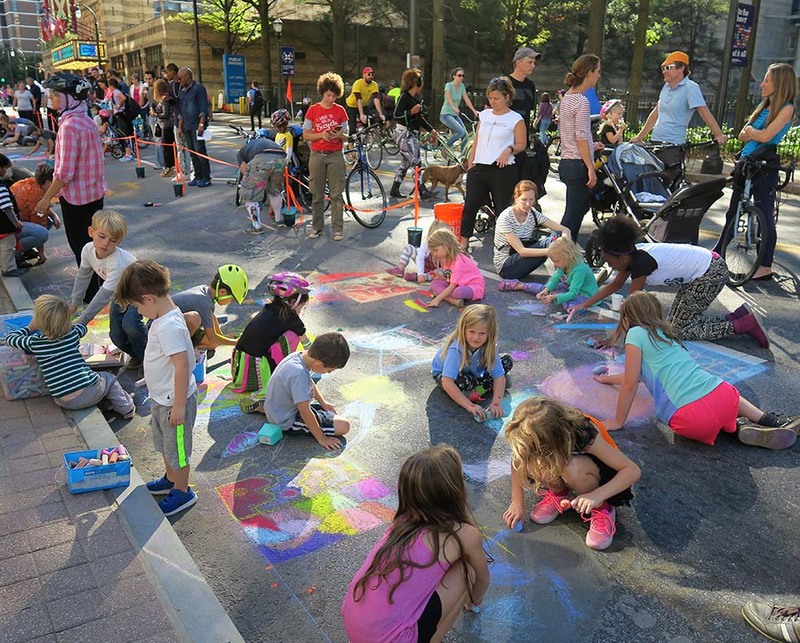 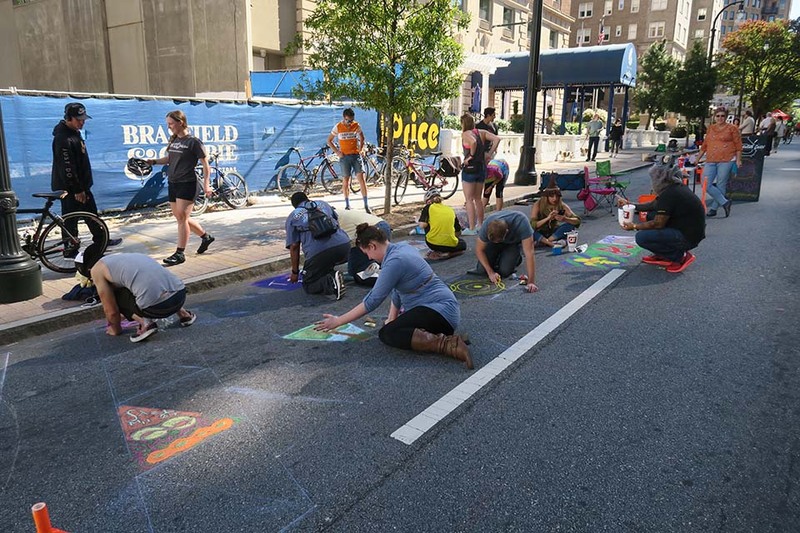 Kids and adults of all backgrounds were drawing together on Peachtree Street. 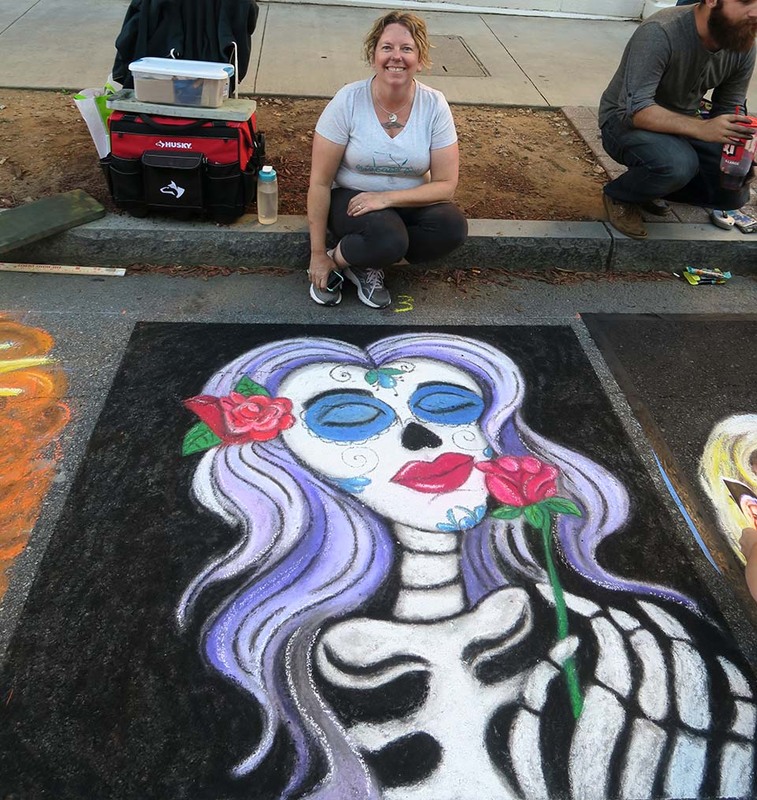 This is truly what our chalk guild is about. 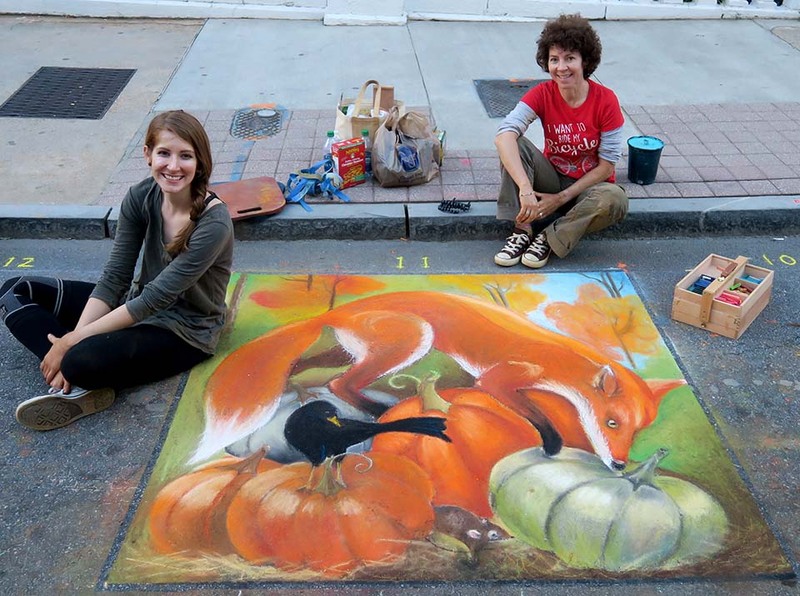 Our members who participated were Jessi Queen, Katie Bush, Cathryn Bozone, Heather Cap and Adam Dunlap. 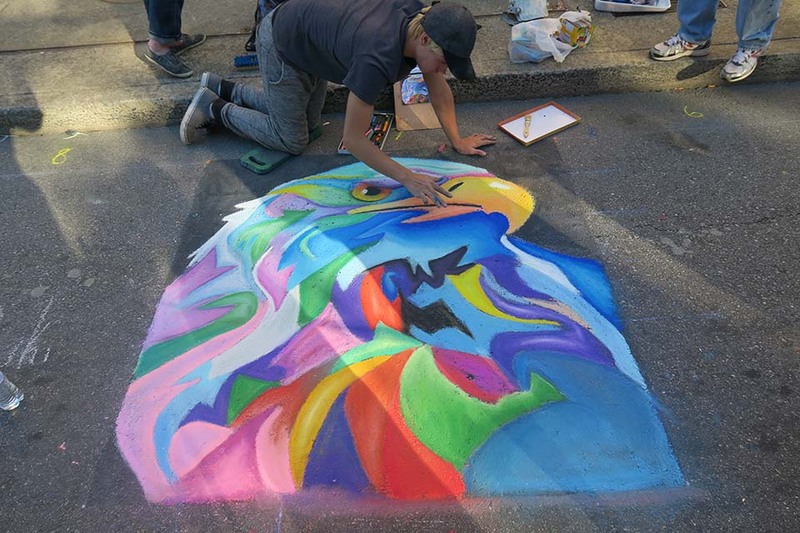 One new member joined after this year’s event. 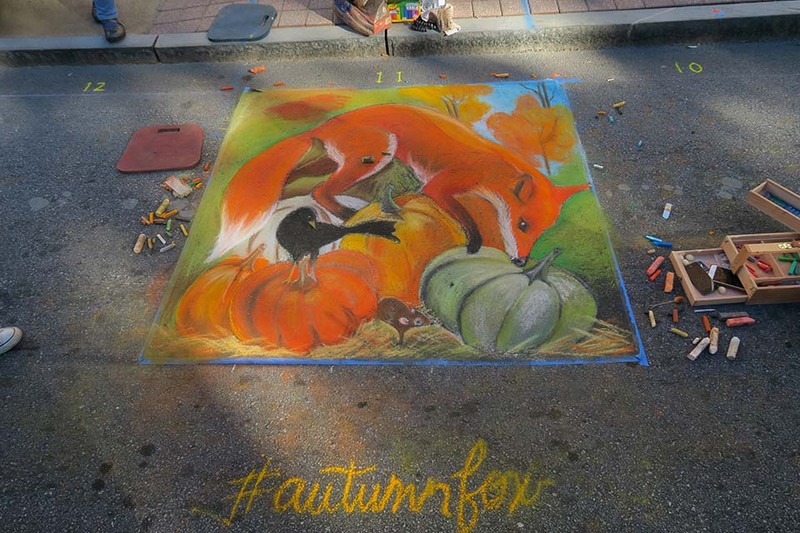 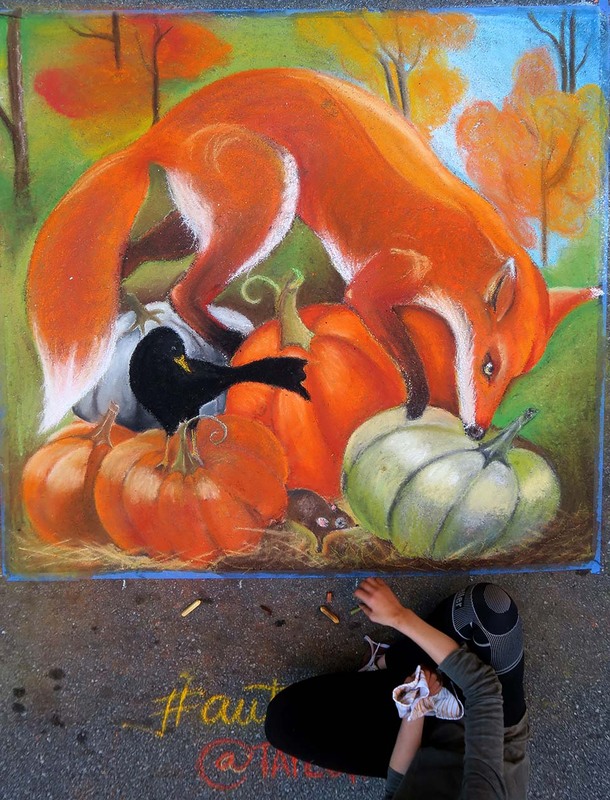 Leslye Phillips and her daughter Taylor created a lovely drawing of a fall fox. 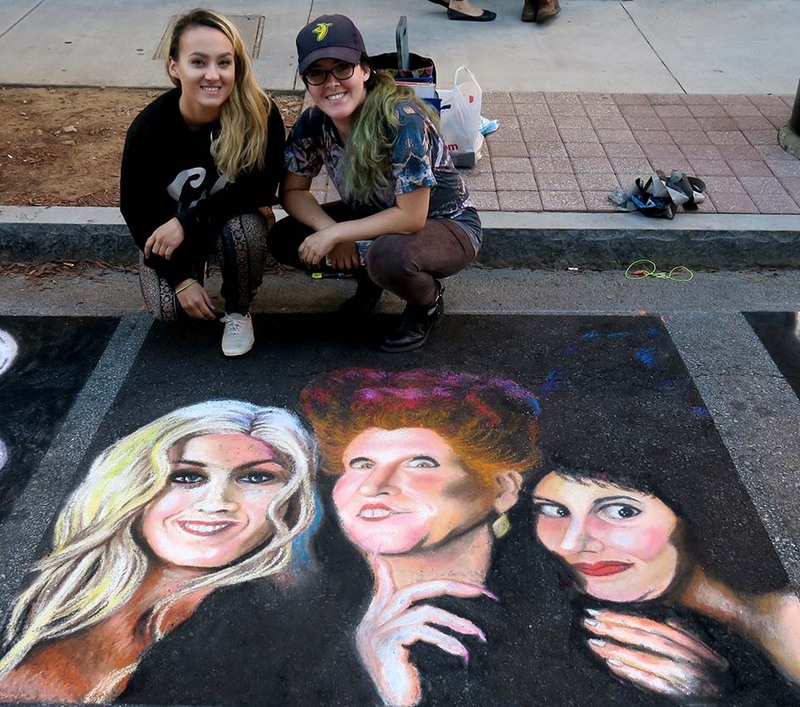 Leslye and Taylor did an amazing job!